Alternative payment models, or APMs, are increasingly being used by practices across the map. In fact, about 29% of all healthcare payments in 2016 were paid through an APM. But what are the effects of APMs on physician practices, and do these impacts tell us whether the road to value-based care is on the right track? A new study surveying practices around the country may shed some light on this question. This is Inside Medicare’s New Payment System, and I’m Dr. Jennifer Caudle. Joining me today to discuss a study conducted by the American Medical Association and the RAND Corporation researchers to assess the effects of APMs on physician practices is lead investigator, Dr. Mark Friedberg, senior physician policy researcher at RAND and director of its Boston office. Dr. Friedberg, welcome to the program. Thanks for having me. It’s a pleasure to be here. Well, we’re excited that you’re here. So, to start off, I think we’re all interested to know how the AMA RAND study came about. What really prompted this investigation? Yes, it’s a great question. So this was a followup to an earlier study that RAND and AMA did together in 2014. The big event that happened between the 2014 study and the 2018 study, other than the passage of approximately 4 years, was the passage of MACRA, and there was an appetite at the AMA and an interest at RAND in going ahead and finding out from physician practices how both public and private payment programs have changed and how they have affected physician practices since 2014. Can you give us some detail on what the study was looking to find and really how this compared with your initial study in 2014? Yes, we weren’t trying to test any specific hypotheses or fish for any specific answers in this study. It was a purely qualitative, descriptive study. We talked with front-line physicians, we talked to physicians in leadership positions, and we also spoke to practice leaders who were not themselves physicians, and we asked them what kind of models they were involved in, including payment models that might have actually discontinued between 2014 and 2018, and we also asked them to tell us how it was going and what were the effects of these payment models. We tried to gather information from the exact same 34 practices that we interviewed back in 2014, which is sort of an unusual feature for a qualitative study and a nice one to have. And this enabled us to ask questions that are a little unusual for this kind of study like, “You had told us in 2014 that you were uncertain about the following payment model and how it was going to affect your practice. How did that go?” And we were able to get an answer to that question, which was a nice opportunity. Can you talk a little bit more about how you and your colleagues selected the practices and physicians that were representative of the diverse market? Sure. We were sampling practices in 6 markets, and the markets were Boston; Greenville, South Carolina; Lansing, Michigan; Little Rock, Arkansas; Miami and Orange County. And the reason for those 6 markets was that they had quite a bit of diversity in terms of the payer mix, the configuration of physician practices and the historic participation in alternative payment models, and they were 6 of the 12 original markets that were included in an earlier study called the Community Tracking Study, so that was the reason for the original half dozen study markets. To get the practice nominations, we asked the market observers to nominate practices who had a variety of different experiences with alternative payment models. And we also gathered nominations from the American Medical Association and some of its local affiliates. So that’s where it all started. For those of you who are just tuning in, this is Inside Medicare’s New Payment System on ReachMD, and I’m your host, Dr. Jennifer Caudle. We’re speaking with Dr. Mark Friedberg, lead researcher of a recent study of APMs and their effect on physician practices. So, Dr. Friedberg, now that we know a little bit about the back story on this study and how you chose participants, let’s dig into the details a little bit more. What were some of the findings that persisted or carried over from your first study done in 2014? Yes, that’s a great question. So the persistent findings are in 2 broad categories. First off, practices in a lot of cases were adopting new capabilities to respond to the APMs. For example, in a primary care practice, this might include enhanced behavioral health capabilities like having an in-house psychiatrist or possibly an in-house behavioral health therapist of some other kind, and they also made investments in analytic capabilities, for example, to be able to track their quality performance during a contract year, and also in information technology that would enable them to keep track of where their patients were. So a good example of this would be a practice within an ACO that had an ACO app where doctors would be notified when their patients were in an emergency department so that they could then call the emergency department and sort of see what was going on, figure out appropriate followup and even contribute to care while the patient was still in the ED. Another big change, just as in 2014, practices received a lot of different quality incentives from their payers, in some cases hundreds of quality measures that they were on the hook for, and they weren’t just passing those through to their front-line physicians. That would be sort of an unmanageable number of different incentives to try to respond to for an individual physician. So they were boiling those down to a single standard of care that applied across all their payers and incentivizing their physicians to follow that standard of care. There are a couple other things I want to mention. First, sometimes practices were not receiving timely, complete and accurate performance data from other parties, and mainly from payers. And I’m not picking on any particular payer. This was a broadly applicable finding, although it did not apply to every single payer in our sample. The data that would come in, usually based on claims data, would be pretty late in a lot of cases, so a primary care practice or a specialty practice might be on the hook for some kind of quality measure and cost measure for a calendar year and not even find out who their patients were that they were responsible for until pretty far into the year, and that made it pretty hard for them to manage that patient population. So those data problems did, in some instances, limit practices’ ability to respond constructively to APMs. A related problem was operational errors in executing alternative payment models. Well, APMs are complicated for health plans to operationalize. They have to write new software in a lot of cases, collect data they haven’t historically collected and analyze it in new ways, and there’s an opportunity when doing something new just to make a mistake. It might be a programming mistake, or a performance measure might be just a little bit misspecified. And we had one practice tell us that this had happened to them in 2014, and they thought it was going to be corrected, and by the time we came back in 2018, we had learned, unfortunately, that that particular error was never corrected. In fact, the APM just sort of went away before the practice was ever able to recoup its investment in doing the care transformation that it did to try to improve care for its patients under the APM. They felt a little bit burned by it. Another payer comes along a couple years later with a very similar-sounding model, looks good again, but now they are a little bit hesitant to jump into it, for understandable reasons, I think. So, what new insights did your team uncover this time around? There was also one specific kind of change that was particularly problematic for physicians, and also hospitals, and this was when a payment model reversed unexpectedly, not for reasons having to do with the actual functioning of the payment model but because leadership had changed at the payer. And when that occurred, that really threw practices for a lurch. One of the other main findings was that APMs were described as being quite a bit more complex in 2018 than in 2014. And as the models became more complex, practices were faced with a decision which was we can either in essence disengage from the payment model if we just don’t think we’re ever going to understand it and just sort of see what happens, or we can invest in understanding the payment model, and that would mean talking to consultants, hiring staff internally who had the expertise in whatever fields were necessary to understand the payment model as some kind of combination of healthcare finance and quantitative analysis. So looking at all of this together, is there a common sentiment that APMs and the overall shift to value-based care has been unsuccessful? Would you say that? Actually, I wouldn’t say something quite that strong. So, despite all the problems that I described and some of the barriers that physician practices encountered, what was sort of interesting, actually, was that in general, physician practice leaders were still optimistic about APMs in concept. There was not a lot of talk about, “Well, we really would just like to go back to straight fee-for-service.” I don’t think anybody is ready to throw in the towel, but there was a lot of interest in improving APMs and making it easier for physician practices to do well in them. I have one last question for you, and I do think it’s an important one at this point. What do you think is going to be needed to engage more physicians in adopting APMs going forward? Yes, this is something that was stable in 2014 and 2018. Physician practices need a good deal of support to engage in new APMs. The support could come from the AMA, could come from other professional associations, the specialty societies, and it could come from the payers themselves in simply setting up the financial incentives, especially when they are complicated and changing and involve significant risk for practices. I think, first off, something has to be done about the initial investment required for practices to develop new capabilities. Payers might be well served by structuring their bonuses so there’s an upfront component so that if you’re going to be hiring some new staff, you don’t have to take a loan to do it and the payer will actually give you the upfront money to do that, and then you can earn it back, basically, at the end by doing well in the payment model. Well, Dr. Friedberg, this has been an excellent glimpse into your study and what it means for APMs moving forward. I want to thank you for walking us through it and really helping us look ahead from there. It’s really been great to have you on the program today. This is ReachMD, and I’m your host, Dr. Jennifer Caudle. To download this podcast or access other episodes in the series, visit us at ReachMD.com/AMA. We welcome your comments and feedback and thank you for listening. You’re listening to Inside Medicare’s New Payment System on ReachMD. This series is brought to you by the American Medical Association. Content of this education is produced and controlled by ReachMD. This series is intended for healthcare professionals only. The results are in! Find out what the RAND study discovered about the effects of APMs on physician practices…and how we can best move forward. 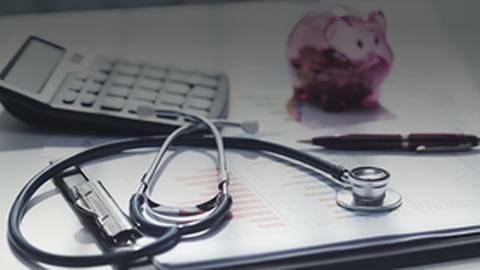 With the use of alternative payment models (APMs) on the rise, the American Medical Association and the RAND Corporation joined forces to investigate the impact of APMs on physicians across the country. So what exactly did the study uncover? Diving into the study’s findings with Dr. Jennifer Caudle is Dr. Mark Friedberg, senior physician policy researcher at RAND and director of its Boston office.